The unthinkable has happened. The United Kingdom is leaving the European Union. The consequences – including for science – can hardly be foreseen. A commentary by Annika Thies, director of the Helmholtz Association’s office in Brussels. Something that was unthinkable not so long ago has actually happened. An EU member state is leaving the European Union at the request of its citizens. The event of an exit was such a remote possibility that it was not even provided for in the EU treaties until the Lisbon Treaty in 2009. The people’s decision in this referendum is now raising many questions on both sides, including the European research community. One small consolation in the midst of this complex and opaque situation is that we can assume that approved EU projects will continue and that already signed funding agreements will remain valid. So no one needs to worry about the immediate future of joint projects with a British research coordinator, and nor will any project partners suddenly drop out because they have been struck off the European Commission’s lists. The question of which residency permits German ERC grant holders will need to work at British universities in future is much less clear. Ahead of the referendum, some British people who have been living in Brussels for a long time already said that they would apply for Belgian citizenship in case of a Brexit in order to remain EU citizens. These kind of indirect consequences are difficult to assess and are bound to cause much uncertainty in the immediate future, even if we optimistically assume that the Brexit will not lead to any domino effects in other member states. All this is the exact opposite of what Europe needs right now. And it is the opposite of what turns a science system into the much-hailed “engine of growth and innovation”. In the medium term, the British “leave” vote is likely to have a whole range of drastic effects both for the United Kingdom and for the new EU-27, and for the European science system. What will happen to the many collaborative European research projects with UK participation, such as the Joint Technology Initiatives? 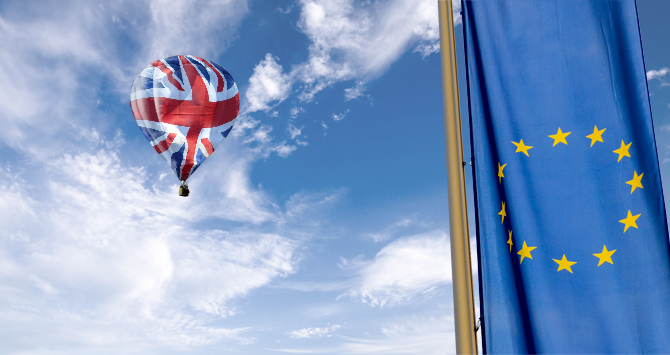 Will leading British universities still be able to participate in EU projects in the future? It would be in the interest of researchers for the United Kingdom and the EU to negotiate as many special regulations as possible on issues such as work permits, residency, the use of research infrastructure and joint research in collaborative projects. A possible solution would be to establish regulations similar to those in place with several non-EU countries that are currently associated to the EU research programme Horizon 2020, giving researchers from countries like Israel and Norway access to funding. This would hardly be politically consistent but would certainly serve the cause of research. And what about EU business in Brussels? It is hard to imagine that at some point the European Parliament will have 73 members less – the size of the British delegation. That the British Commissioner for Banks, Jonathan Hill, will leave office. That the Committee of the Regions will lose several regions at once and, with it, 24 British representatives. Why “at some point”? Because both sides must first of all thrash out the details of the exit. A two-year period is available to negotiate the terms of withdrawal, and if necessary, this period can even be extended. And finally, the exit agreement must be ratified by the European Council and the European Parliament. There is a long, hard road of negotiations ahead. The United Kingdom was actually scheduled to hold the EU Council Presidency for six months as of July 2017. Perhaps the countries next on the list will now just move up, as the list has been set up to the end of 2020. This means Germany would hold its next Council presidency in the first half instead of the second half of 2020. This may seem like a minor change in schedule with no great significance to research, but it may well be more than that as the final details of the follow-on programme of Horizon 2020 are set to be negotiated in this time period. It now seems that this programme will take place without British participation. If no intelligent special regulations are made, the project will have to make do without the British part of the budget and without its scientific expertise. Over the last few years, the ERC has become a particularly strong benchmark and its grants are hotly contested. Both in the current and in the previous EU Framework Programme, the United Kingdom has repeatedly topped the ranks of ERC statistics. We would have liked to keep our competition.